- about me The Girl Hi, I'm Norra, or just call me Lilith. I'm 13 and I'm currently in New York, but someday I would like to live in London. I love to play video games and I love to draw anime. I still need to be tutored for drawing, so my art skills can become more prettier. 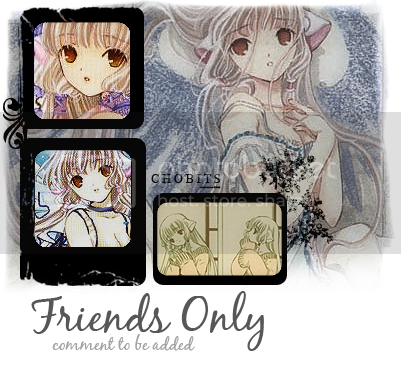 - layout credit The layout overrides are byoh_aestheticism and Rikki edited them. The image is copyright CLAMP. Thanks Rikki for the beautiful banner. When I woke up, I felt so dried out and wet. So, I took a cold shower as usual, put my favorite skirt and other clothing, ate breakfast, and went out the door. Damn, it was scorching hot today, can you believe it?! I was glad I wore a skirt and not pants. This part was trouble for me. At 4th period Gym, I forgot to give my best friend, Ashely a birthday gift. She was 14 in the 7th grade, since she was born a year before me (1992). When I was sitting on the bleachers, eating some chips, my classmate or my worst enemy, Sydney, asked me for chips. I said no, and she started cursing at me and beating me up. I cursed at her back hardly. I wanted to beat her up so badly, but I knew I was going to get in trouble. Finally, the bell rang, and I got away from her. When I came home, I was going to take a nice cold shower, but I decided I didn't, since I was going to waste my limit time on the computer. I overstayed my limit, and my brother started to get an attitude with me, and I kept thinking to myself that he doesn't like me at all. So, I got off the computer and played Final Fantasy Chronicles until 8pm. Then, Nicholas came and we played Mario Party 7 until 10:30pm. I was dissapointed when he won in the awards. Next time, I'll win the game with Birdo or Dry Bones and he'll be shocked. I can't wait until I get this game for my own! I ancronymed my name since I had nothing better to do. Blend at a low speed for 30 seconds. Top it off with a sprinkle of lustfulness and enjoy! How do you die at Hogwarts? I feel like I'm a maid. I always have to do everything around the house and I can't get a break. Why can't people leave me alone?! Anyways, my older sister is here with her kids, as usual. Christina's still cute. I don't want anything bad to happen to her. Man, school's tommorow, but I have a 1/2 day! I'm so excited, but I won't be able to play Final Fantasy on weekdays. I guess I'll have to wait till Friday, as usual. I'm finally back online! I had a blackout for like 7 hours or so and my neighbor helped us with the power! I'm thankful for him. My friend Rikki, made this layout for me, so no touchie! Thanks to both of you! This is actually the first time I posted in this journal. I hope I'll be able to post here often.